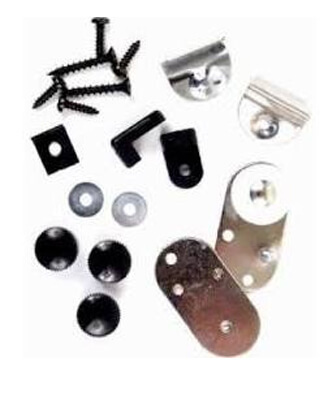 This hardware bag contains the replacement hardware and parts for all Mayline above-board straightedges with edge mount. Includes the plate assemblies, and pulleys. Replacement cable and spring are not included.